On Sunday, March 17 at 4 p.m., the Westchester Chamber Music Society welcomes the Amerigo Trio, led by Glenn Dicterow, former first violinist of the New York Philharmonic, which will perform works by Sibelius, Beethoven, Chihara, and Francaix. Just as exciting for longtime subscribers of the Society is the reception and dinner that follows honoring Dr. Caroline Bauman for her long and invaluable association. When the Society was founded in 1950, the organization was made up of non-professional musicians who wanted to perform for themselves. Their “stage” was in a leased building on Bloomingdale Road in White Plains. Gradually, the concerts became public, the musicians professional, and the location changed, first to Manhattanville College, and then to its now longtime location, Congregation Emanu-El on Westchester Avenue on the border of Rye and Harrison. The Tokyo String Quartet performed their first concert at the Westchester Chamber Music Society (WCMS). The Emerson Quartet is just one of the major ensembles that performs there regularly. For over three decades, Dr. Bauman, a Harrison resident since 1966, has served as president. In that role, she works with the management companies of chamber music performers to arrange each year’s five-concert series. The schedule is set some 18 months before the season begins. Performers welcome the opportunity to play at WCMS for the same reasons that subscribers like to attend: the acoustics are outstanding, the audiences are knowledgeable, and they welcome the opportunity to meet and converse with each other at the reception after each concert. The performers also welcome the chance to introduce new composers and talk about the works at the concerts, and audiences like the open seating and program notes. While music has long been a love of Dr. Bauman, she chose medicine as a career. She attended NYU as an undergraduate and is a graduate of L.I. Downstate Medical School. 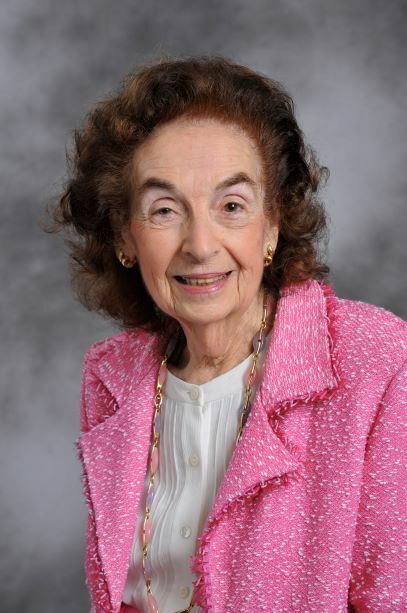 She and her late husband opened their White Plains medical offices in 1966 where she still has her pediatric practice. Tickets to the March 17 concert and dinner featuring a special tribute to Dr. Bauman are $100. Contact WCMS at 914-320-4168 or www.westchesterchambermusicsociety.com. Tickets to the concert alone are $40 and can be purchased in advance or at the door; admission is free for students. Both the concert and dinner will be held at Congregation Emanu-El of Westchester.